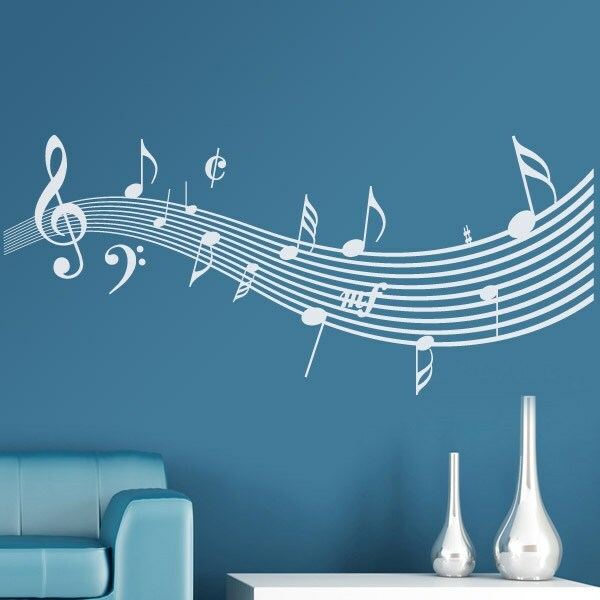 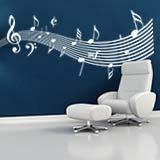 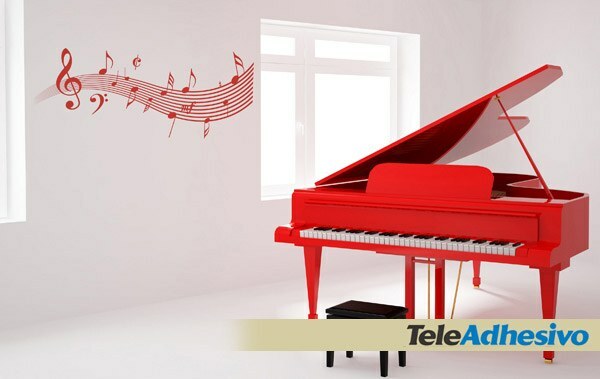 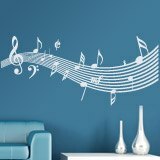 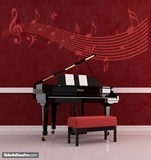 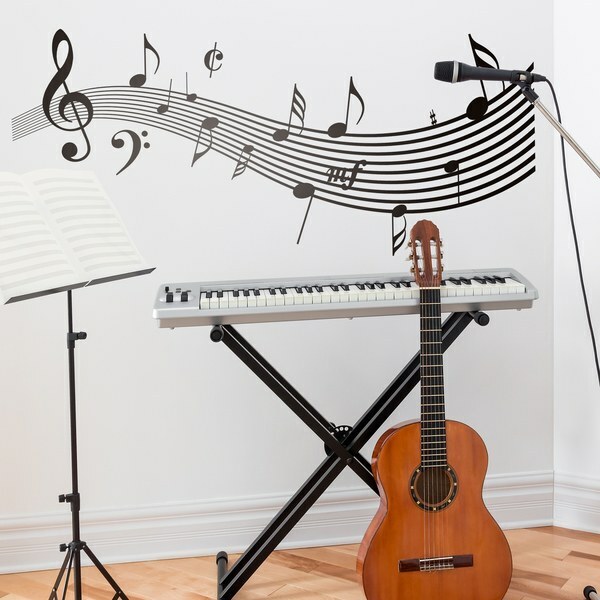 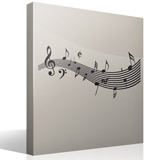 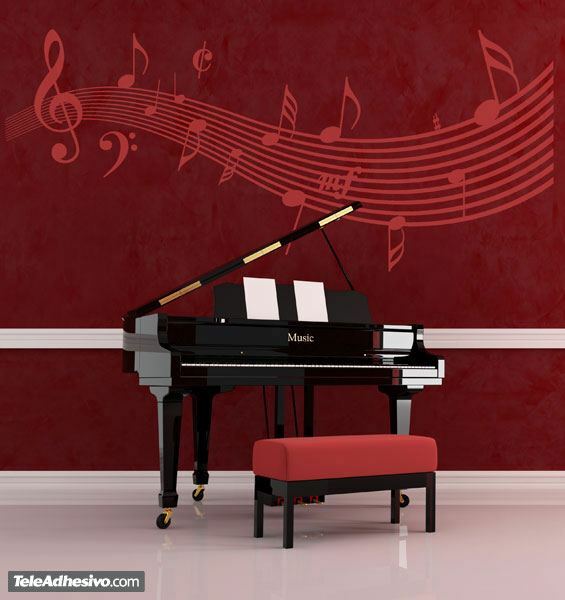 Wall sticker Sol-fa. Pentagram curled by the wind. 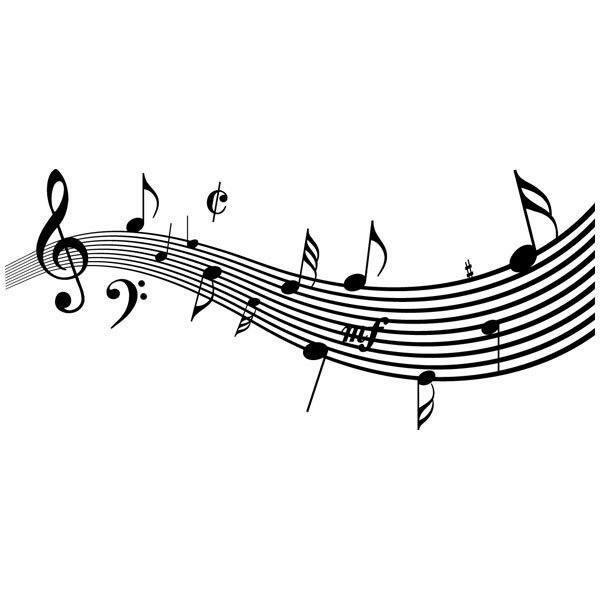 The treble clef commands over the other notes, in the pentagram blacks, eighth notes, sixteenth notes, bars form the melody. 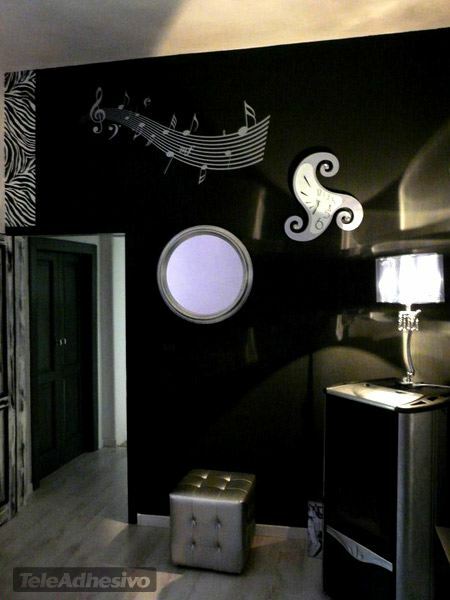 A very interesting proposal to provide harmony to their spaces and walls. 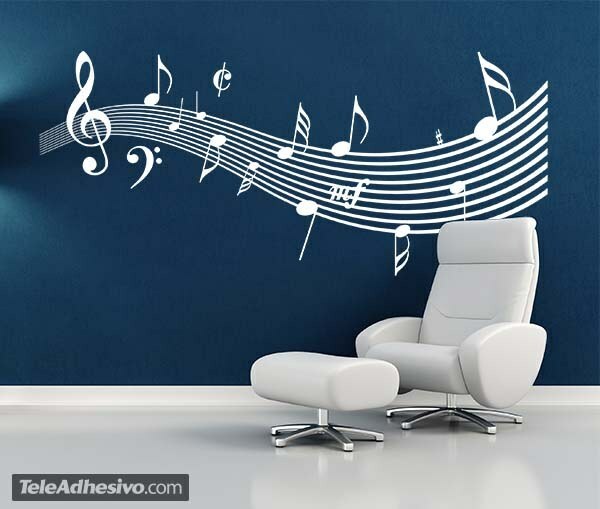 Size: 31 x 18 cm.